One of Berlin’s finest pieces of 19th century architecture. The Neue Synagoge was built between 1859 and 1866 as the main synagogue of the Berlin Jewish community. It is the eastern Moorish style and has a resemblance to the Alhambra of Granada. On 9 November 1938, colloquially euphemised as “Kristallnacht”, the Neue Synagoge was set ablaze by a Nazi mob. The present building frontage is a restoration of the original. 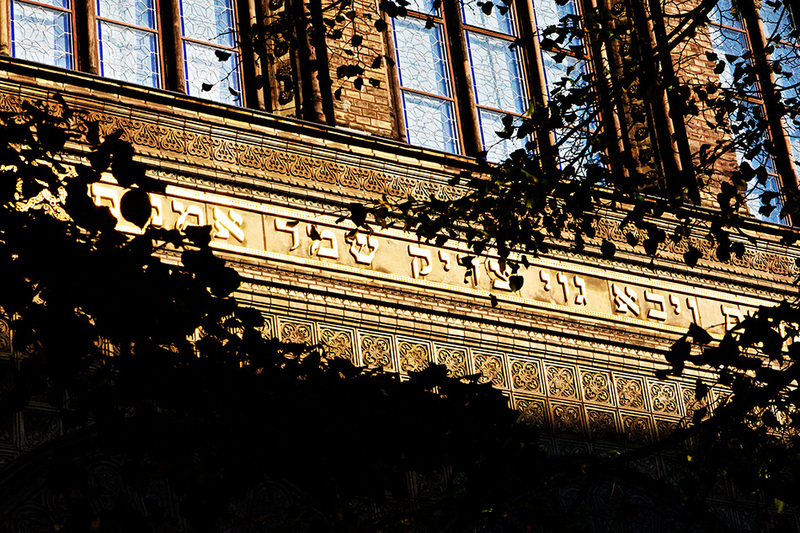 I pass the synagogue often, and this was a shot I’d been weighing up for sometime, waiting for the low sun to rise sufficiently above the city buildings to pick out the ornate golden inscription in Hebrew. When the weather and time was just right, I got the shot, the ‘warm’ light of the low sun complementing the building nicely. The sun is very often our only light source, and few things are more important to taking good photographs than understanding the movement of the sun and the differing quality of light it produces. I can recommend Tristram Gooley’s excellent book, ‘The Natural Navigator‘, as well as this Sunposition Calculator, a fantastic tool for learning the sun’s arc through time and space. Taking convincing pictures of rain is extremely difficult, you really need an intense tropical downpour for rain to be at all visible to the stills camera. 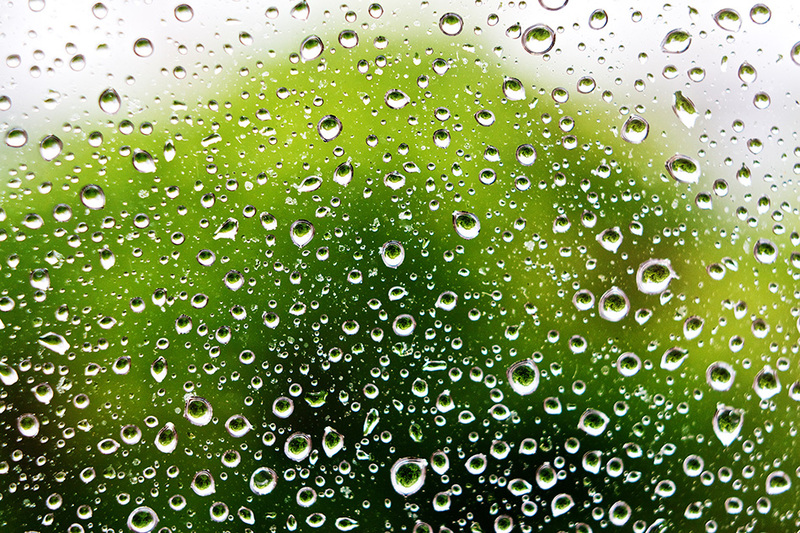 Raindrops make a satisfactory alternative. In this shot I was attracted to the contrast between the internal reflected light within the raindrops and rich green of the trees beyond the window. Technique: The abstraction of the image is achieved by setting the camera to manual focus, setting the focus to its minimum distance (just over 30 cms on the lens I was using), opening the aperture to maximum (f2.8), and achieving image focus by moving the camera body rather than the lens, all the time visualing keeping the camera sensor in the same plane as the window (as this range even minor deviations would cause uneven focus in the plane of the objects). Finally recognising that it would not be possible to get the entire range of objects in absolute sharp focus, rocking slowly back and forth to work out the combination of focussed/unfocussed objects that would seem to work best in the final image. The image was finshed off by increasing saturation to boost the green to what I took to be my proper ‘real perception’ of the colour of the trees as I first noticed the shot. 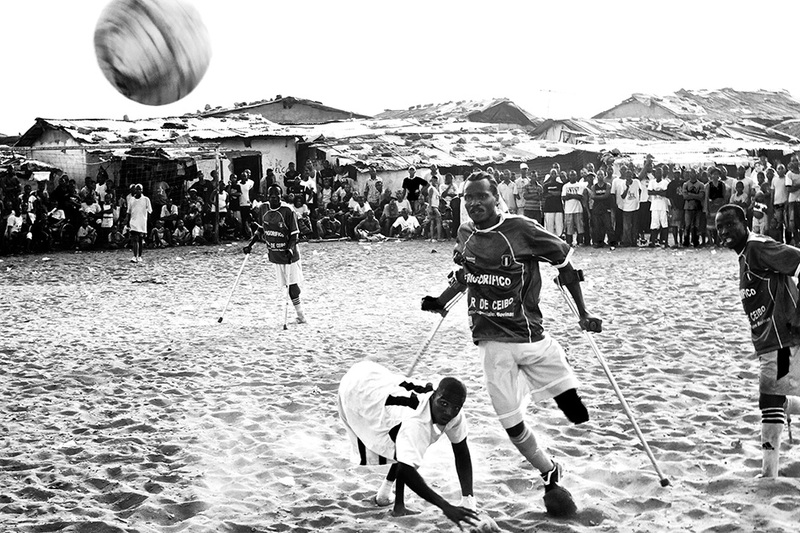 One afternoon I went down to one of the poorest quarters of Monrovia, around Gurley Street in the central district, to see a game of disabled football (it’s a different game, with modified rules about the use of limbs) being played. The game was played on a tiny sand pitch, in the middle of a slum, with hundreds of excited members of the local community watching on. Most of the players would have lost their limbs as child soldiers during the periods of civil conflict that swept Liberia between 1989 and 2003. Needless to say, Liberians are tough people and the bravery and intensity of the play was unforgettable, young men dripping with sweat were routinely throwing their heads into places where it was being kicked by others, as well as taking the points of metal and wooden crutches in the face. I hope this image captures some of the intensity of that afternoon. Technique: Sports photography is all about anticipation. Getting good images requires real concentration, your eye and mind getting sharper as the game goes on. This is an unusual sports shot, being taken on a standard 50mm equivalent lens (an old East German Zeiss manual focus) rather than usual big heavy telephotos. This was only possible because I could get so close to the action (the ball narrowly missed the photographer, as it left the pitch). Technique wise, I had lots of light so I preset the aperture at f11 and the focus at about 3 metres out, and fired at anything that came close to filling the frame. The lighting was horrible for photography, midday, deep shadows, full glare of the sun. Made B/W and recovered highlights in post-production. 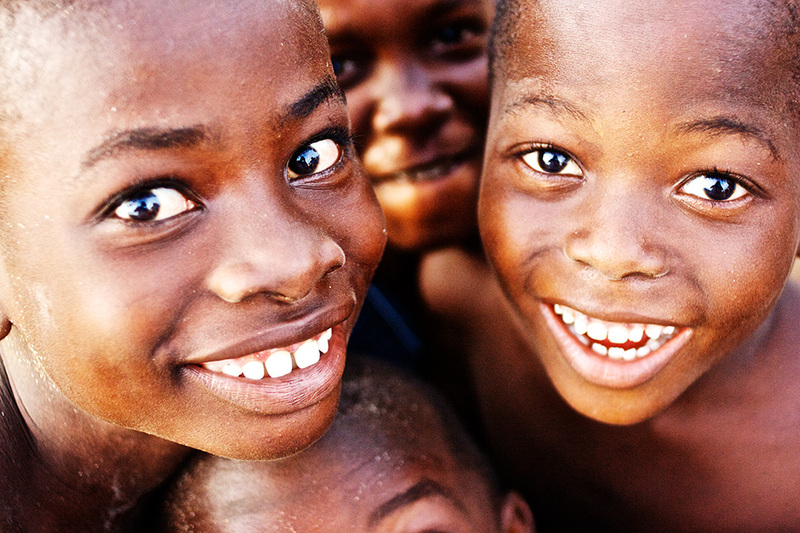 Children are everywhere in most African countries (returning to Europe you are conscious of how old everyone looks). Whip out a camera and soon smiling kids are staring curiously down the barrel of your lens. Turn the camera around to show them their image on the LCD and they’re immediately wheeling around, screaming with joy. This is one of the best feelings you can have as a photographer on the continent. 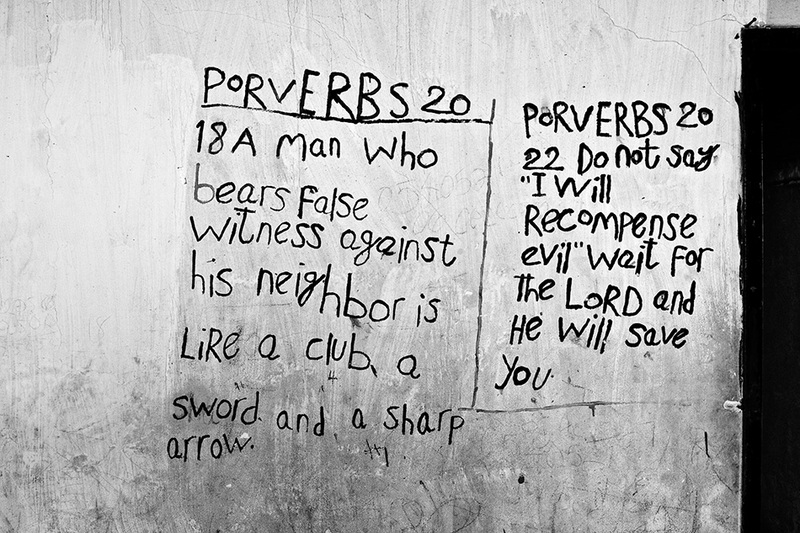 Unsurprisingly for a society recently exposed to unimaginable cruelty, hardship and human suffering, religious graffiti in Liberia often strikes a decidedly desperate (and sometimes menacing) tone. Like almost all Sub-Saharan African countries, religion is a massively important part of Liberia’s daily communal life, Christianity is the most widely practiced of the major religions, followed by Islam. In practice, religious observance in West Africa is often a highly syncretic mix, which may incorporate familiar mainstream ritual, animist beliefs, superstition, and even traditional witchcraft. This picture was taken inside the shell of the Ducor Hotel. 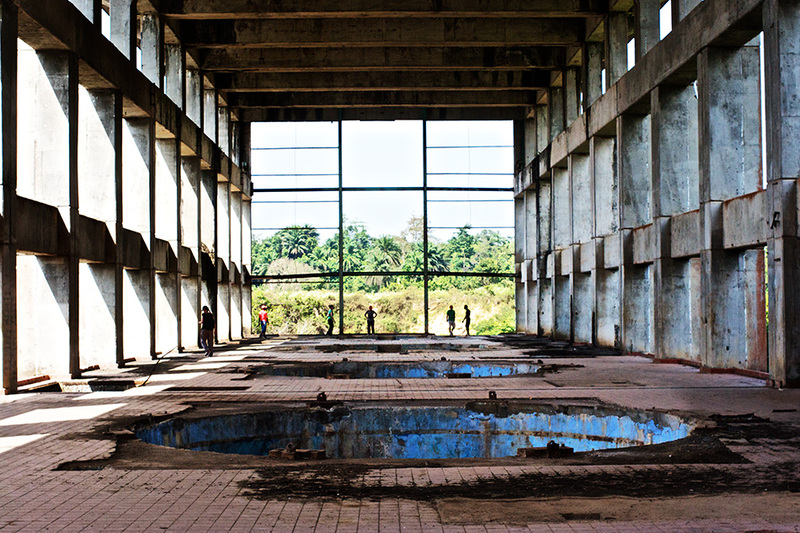 High on a rocky promontory above the city, it was once one of Monrovia’s grandest buildings. Until at late as 2007 it was home to a large community of several hundred, otherwise homeless people. Clearance of the building debris began in 2010, readying it for its redevelopment as a hotel. However, given that the lease for redevelopment was signed by the now deposed Government of Libya, the project is in a very uncertain state. Technique: the challenge was to rescue an interesting but rather low key, low contrast, digital negative. Post-production involved making the image black and white, in order to be able to ‘push’ the negative harder for exposure (together with contrast and saturation adjustments) whilst still retaining a naturalistic image. 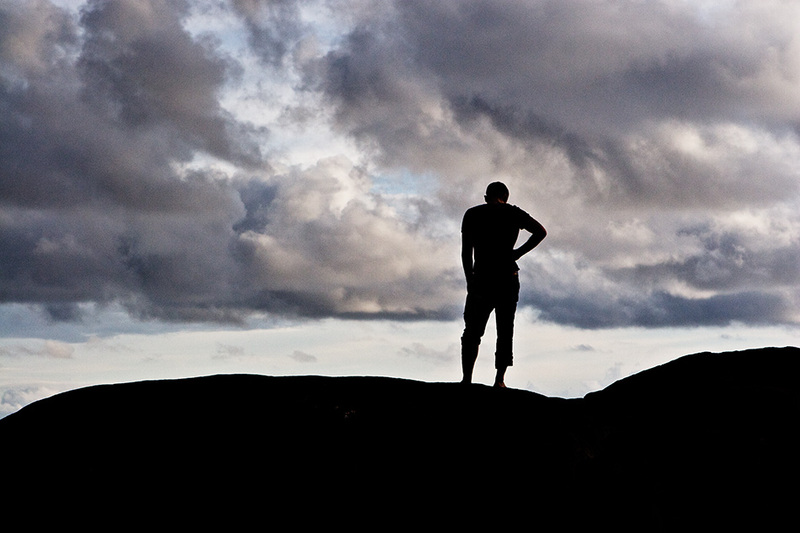 Standing upon a large rock, a man considers the sea, on an isolated beach close to Liberia’s second city of Buchanan. 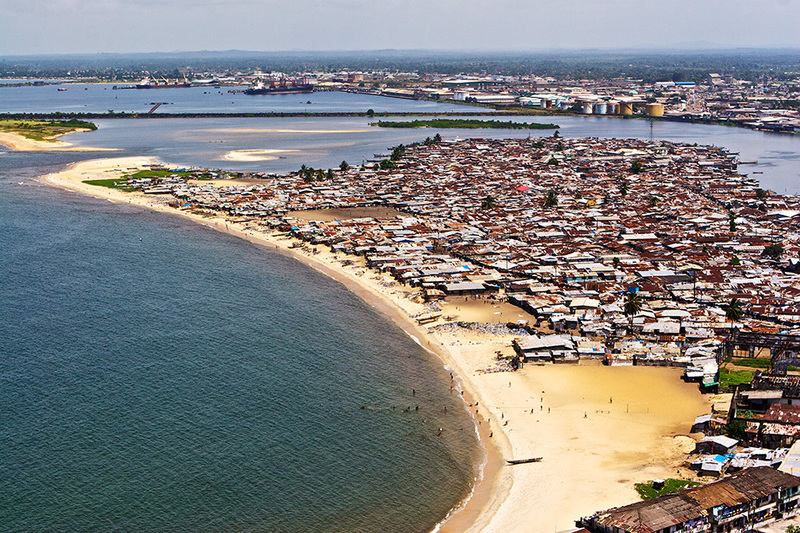 The city saw very heavy fighting during the civil conflicts that convulsed much of the country during the period 1990-2003, and parts of the beach front were mined (I hesitate to advise how successfully they have been de-mined – exercise caution if you visit). We were essentially visiting this broken town and its lonely beach as ‘tourists’. A significant indicator of the capacity of an expatriate to endure prolonged stints in challenging environments is their individual capacity to make entertainment from the unconventional. 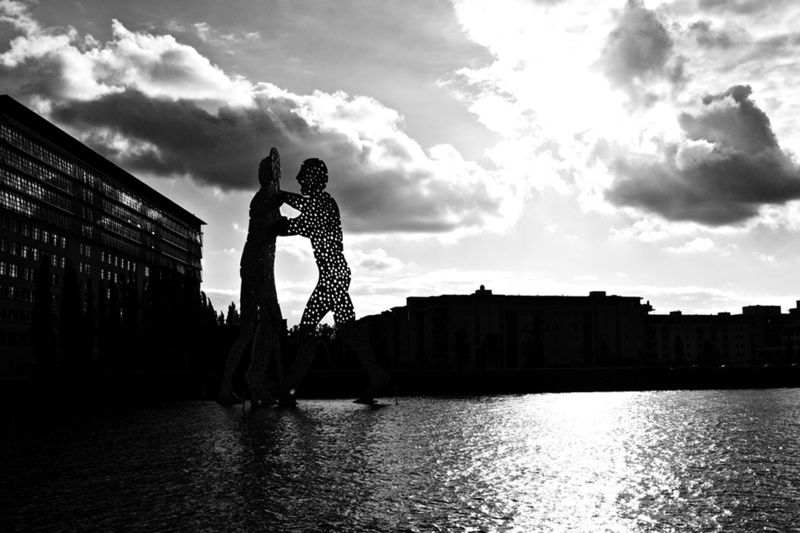 Technique: The image is a simple silhouette. Even on a relatively overcast day, the light of the tropics is sufficiently intense to easily achieve a full silhouette by exposing for the sky. A little contrast work and cleaning up was then done in post-production. 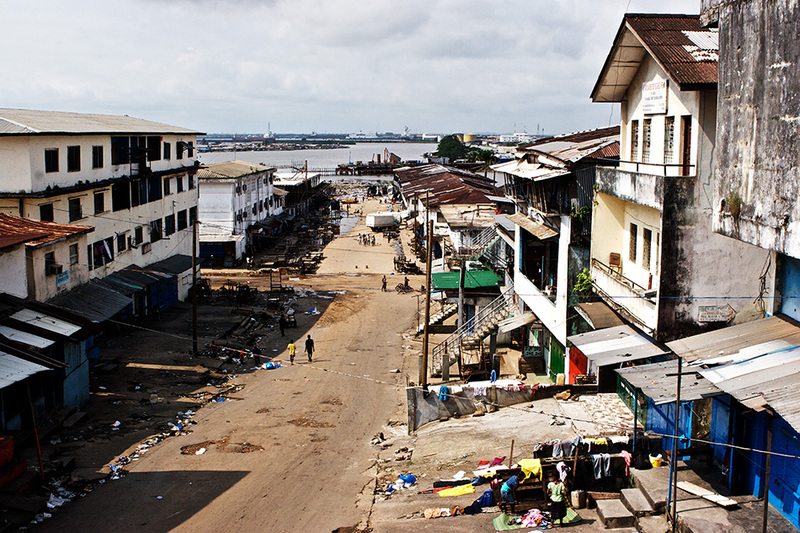 The dilapidation of Waterside, one of Monrovia’s oldest districts, is evident here. However, the area is still commercially very important, containing one of Monrovia’s busiest and most vibrant markets.